Your life right now is moving at a colossal speed, we all complain that there’s not enough hours in the day, we all breath a sigh of relief when we sit down even though we know there’s more to do. Even the items we use in our daily lives move fast, that iPhone you spent months saving to get is out of date before you turn it on. Every electronic device you own requires an update every time you turn it on, even your clothes are out of date and just as soon as you buy new stuff, the old stuff is back in fashion. In the car world things move a little slower, but in recent years there have been some changes. It takes a long time and millions of Euro to bring a car to market, you know those prototype pictures you get to see every once in awhile? Well they are about 2 years old by the time they become your desktop background. 5 years is the average time spent bringing a car from an idea to a showroom, I always wonder how they know what kind of car I’m going to want in 5 years. To make matters worse somewhere around 3 years into selling the car it tends to get a face lift, then after 5 years (about the same time it takes to design a new model) they bring out a new one. So the brand new car you’re about to invest thousands into is already being re-designed, and before you can say, “My car’s is worth more than that!” there’s a new model on the market. You see, 3 years for the facelift happens to coincide with the average ownership time of a new car, 5 years for an entirely new model is there to tempt you out of your, what is now very old fashioned car. It’s about manufacturers trying to keep you brand loyal, while pulling in some new blood. Audi are no different, they know that Audi drivers are quite loyal; it even runs in some families. In 2004/2005 the A4 I’m driving today was released, the B7 model was designed by Walter Maria da’Silva, the same man designed most of the Alfa line up, the Current Seat Leon and Toledo, he is now in charge of design for Audi, Seat and Lamborghini. It was a svelte version of the outgoing model, in the exterior design you can see the A4 heritage but it looks cool enough to attract the new buyers. With the S-line pack it is a very handsome, sporty looking car, the UK imported car that I’m driving also has 18-inch wheels that add nicely to the overall look. Boot space is big enough at 460ltrs, drop the rear seats and you’ll get 720ltrs, the boot opening is narrow enough but no worse than most saloons. On the inside everything has a very solid feel, the fit and finish is superb, Audi has a good reputation when it comes to how their cars are put together even though I’ve seen a few that are a bit tatty they are rare enough. There are two main complaints I have about the interior, the air conditioning controls are partially blocked by the gear stick making them a little fiddly at times and the arm rest gets in the way of the handbrake, other than those two minor problems everything is perfect up front. 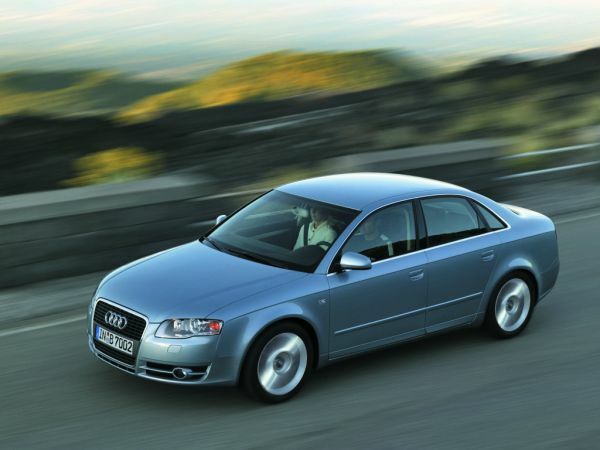 It’s in the back seat where you’ll quickly find a lack of legroom, this has been a problem for the A4 in older models too, you will get three adults in the back but only if the driver and front seat passenger are less than six foot. All of the problems vanish once you get this car out on the road. The 2.0ltr 140bhp engine does a fantastic job at pulling the A4 along, the 0-100kph time is 9.7 seconds but if feels much faster than that, the sense of urgency from the whole car coupled with 236lb ft of torque gives you a great feeling of speed, even at high speed everything is stable, once you reach cruising speed the cabin is very quiet and at motorway speeds the engine is barely audible. In the same way that the armrest gets in the way of the handbrake it does somewhat restrict changing gears, Audi must have known these problems because it put a hinge on the armrest so it can be folded out of the way. On the back roads the fantastic chassis gives you great confidence in the corners, there’s tonnes of grip and the steering is weighty enough to give good feedback, there is a little under steer but you would have to be getting fairly lairy to experience it. Knee room isn’t great on the left side, every time I turned right my left knee hit the dash, which became uncomfortable as time went on. In reviewing the A4 I’m acutely aware that it’s main competitors are the BMW 3 series and the Mercedes C-Class. Admittedly it would be a very tough choice between the three of them, but the A4 edges ahead on quality of finish and that great gear box, the BMW gear box is much more sloppy than the A4’s and the Mercedes box is rubbish. The A4 is an accomplished car, there’s a lot to like and only a few buggy problems, the rear legroom being the biggest of the issues. Overall a fantastic car for the driver, it’s comfortable, fast and handles like it’s on rails. 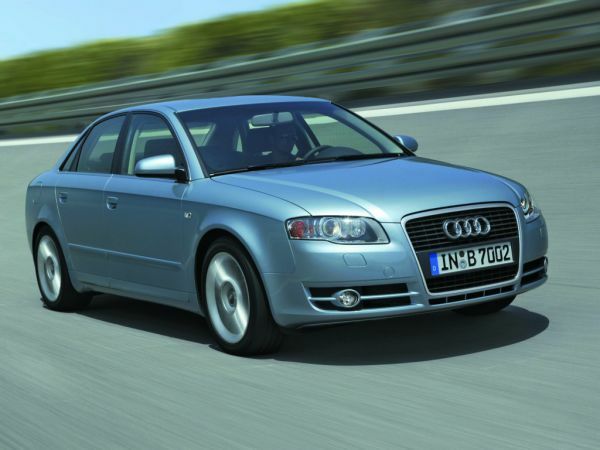 Audi’s age very well, the styling hasn’t dated since the 2000 model. There is a new one out and like always that’s due some sort of face lift, and before you know it you’ll see an ad appear with a new model, but until then you can drive in style, comfort and still look cool.